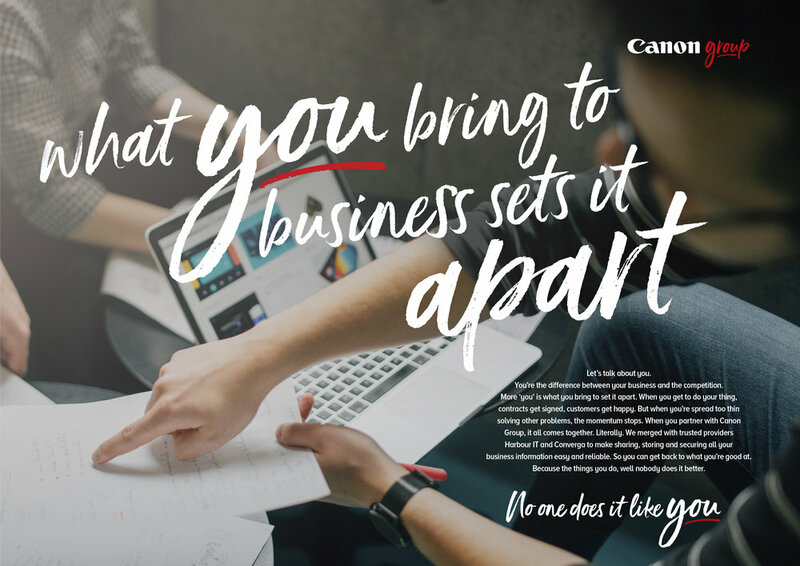 Thanks to new partners Harbour IT and Converga, Canon’s Business Services capability had expanded. 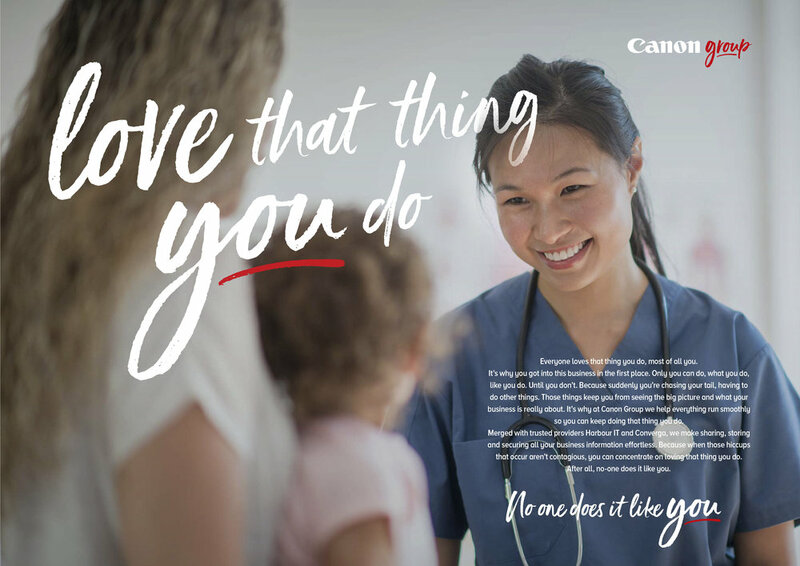 We needed to rebrand and introduce ‘Canon Group’ to the market. Drawing on the strength and love for the consumer brand, we celebrated the power and vision of business owners. For them, business really is personal. 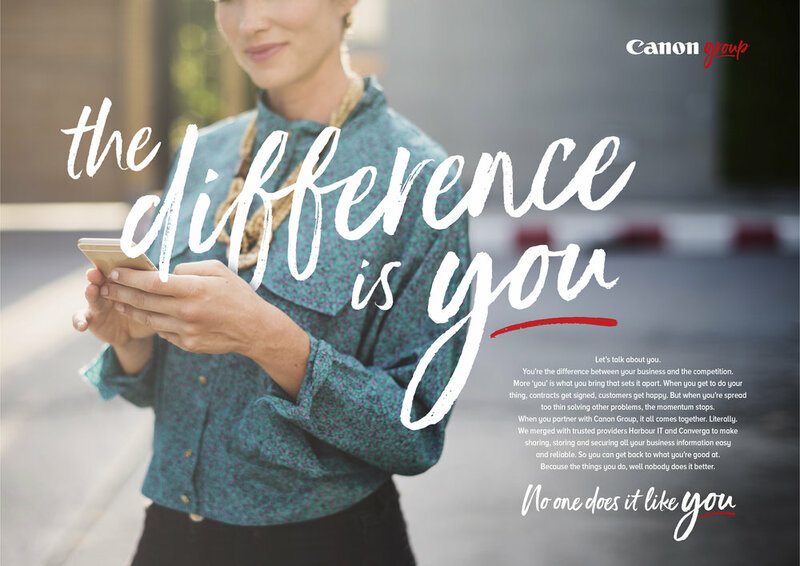 The new brand created a platform to connect with customers and communicate the core message – that Canon takes care of necessary tasks so they can put more of themselves into their business – because ‘no one does it like you’.